A successful test of our new one day program! Susie Chun Oakland is the Program Coordinator for the Lanakila Multi-Purpose Senior Center. Until her retirement last year, she was a State Senator representing District 13 (Liliha, Palama, Iwilei, Kalihi, Nu’uanu, Pacific Heights, Pauoa, Lower Tantalus, Chinatown-Downtown). She served as an elected official in the Hawaii State Legislature for 26 years (1990-2016). As public servant and citizen, Ms. Chun Oakland is a known as a champion for human services. 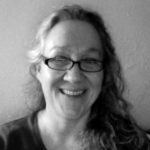 In addition to serving on the SHADE Institute’s advisory board, she is active in over one hundred other community organizations. She is a graduate of President William McKinley High School in Honolulu and the University of Hawaii at Manoa where she earned Bachelor of Arts degrees in Communications and Psychology. She is committed to serving Hawaii’s families, increasing affordable housing, and enhancing environmental sustainability. Her parents are Philip and Mei-Chih Chun. She is married to Michael S. Oakland and has three adult children and six grandchildren. 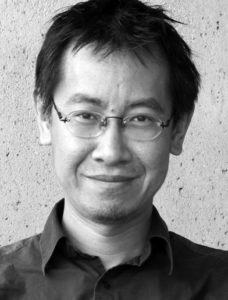 Jeffrey Hou, Ph.D, is Professor and Chair of the Department of Landscape Architecture at the University of Washington, Seattle. Jeff’s research, teaching, and practice focus on community design, design activism, cross-cultural learning, and engagement of marginalized communities in planning, design, and placemaking. 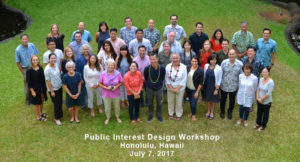 In a career that spans across the Pacific, Hou has worked with indigenous tribes, farmers, and fishers in Taiwan, neighborhood residents in Japan, villagers in China, and inner-city immigrant youths and elders in North American cities, in projects ranging from conservation of wildlife habitats to design of urban open space. He has written numerous publications on the agency of citizens and communities in shaping the built environments. A forthcoming book Design as Democracy: Techniques for Collective Creativity (2017) is a compendium of community engagement techniques that address fundamental questions in democratizing the design practice. Hou is a recipient of the 2012 and 2010 Places Book Award and the 2011 CELA Award for Excellence in Service-learning Education. He also received a Community Builder Award and a Golden Circle Award for his service in Seattle’s Chinatown International District. In 2013, he was appointed the City of Vienna Visiting Professor at the Vienna University of Technology (TU Wien). Hou has served on the boards of the Association for Community Design (ACD) and Architects/Designers/Planners for Social Responsibility (ADPSR), as a coordinator for the Pacific Rim Community Design Network, which he co-founded in 1998. Hou has a multidisciplinary background in architecture, landscape architecture, planning, and public art. He received his PhD in Environmental Planning and M Arch from University of California, Berkeley, MLA from University of Pennsylvania, and B Arch from the Cooper Union. Harrison Rue is the Transit Oriented Development (TOD) Administrator of the City & County of Honolulu, Department of Planning and Permitting. Prior to joining the city in 2013, he was a principal with the Virginia-based consulting firm ICF International, where he has done work in the areas of transit and TOD planning, integrated transportation and land use planning and public participation communications. Prior to his consulting practice, he was the executive director of the Thomas Jefferson Planning District Commission in Virginia and vice president of the Association of Metropolitan Planning Organizations. He also is the founding director of the Citizen Planner Institute in Hawaii and Florida and has done extensive work and led numerous workshops and conferences on Oahu for over a decade. Honolulu’s TOD program under Mr. Rue’s leadership, is a community-based effort that encourages multiple transportation options while preserving the character of each community involved. The city started creating the eight TOD neighborhood plans in 2007. Dean Sakamoto FAIA, NCARB, LEED AP Mr. Sakamoto is a practicing architect and founder/director of the SHADE Institute, a Honolulu-based non-profit public interest design organization. His firm, Dean Sakamoto Architects/SHADE group is known for its environmentally sensitive and culturally specific designs of buildings and places in the Northeastern U.S. and Hawaii. As an educator, Mr. Sakamoto served on the faculties of Yale University School of Architecture (1998-2011) and the School of Forestry and Environmental Studies (2016). He is affiliate faculty at the University of Hawaii at Manoa Department of Urban and Regional Planning (since 2011). He is the editor of the award-winning book and curator of the exhibition, Hawaiian Modern: The Architecture of Vladimir Ossipoff (Honolulu Museum of Art 2007-2009). In the realm of community resilience, Mr. Sakamoto is the developer of HURRIPLAN: Resilient Building for Coastal Communities, a FEMA certified national training program. He serves on the AIA National Resilience Advisory Committee; Hawaii State Foundation on Culture and the Arts, Board of Commissioners; and Docomomo US_Hawaii, board of directors. Mary Pat Waterhouse is currently a community volunteer. Her activities include memberships on the Waipahu Aloha Clubhouse (WAC) Advisory Board, the Hawaii Community Development Authority Board (HCDA), the Roman Catholic Church of Hawaii Finance Council Committee, and the Mental Health America of Hawaii Advisory Board. 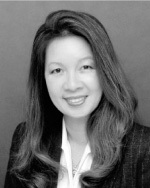 Her commitment to civic engagement followed positions as the City & County of Honolulu Director of Budget and Fiscal Services, CFO at the Hawaii Community Foundation, Deputy Director at the State of Hawaii Department of Accounting and General Services, a manager in consulting at KPMG in their Honolulu office, and an instructor of Accounting at the University of Hawaii at Manoa. Commission, and the American Red Cross. She has a Bachelor of Science in Accounting from Hampton University. This workshop is presented in cooperation with the SHADE Group and East-West Center nonprofit organizations of Honolulu. The SHADE Institute is a Hawai‘i-based exempt organization as described in Section 501(c)(3) of the U.S. Internal Revenue Code, which provides training, professional development, and public interest planning/design services to underserved organizations and communities. East-West Center promotes better relations and understanding among the people and nations of the United States, Asia, and the Pacific through cooperative study, research, and dialogue. Established by the U.S. Congress in 1960, the Center serves as a resource for information and analysis on critical issues of common concern, bringing people together to exchange views, build expertise, and develop policy options.